I always love seeing the Mexican finds. I would love that articulated Briar. I've got her in the most amazing wig.....but now I wish she had cat ears Maybe I'll make a point to find her some sometime. Oh duh, already posted. Enjoy though! Has anyone seen fakie Aveas yet? I'm kinda excited! Once I get more funds (and October is over) I plan on getting a Sirena fakie or 2. The flesh toned one could be Frankie with "normie" makeup and a wig! I was thinking you already had her on the way to you! You are my guinea pig LOL! If yours looks good, I'll order my own! This is really a doll I need to see in person before buying. This thread is too long to search but has Khaki Girl been mentioned. 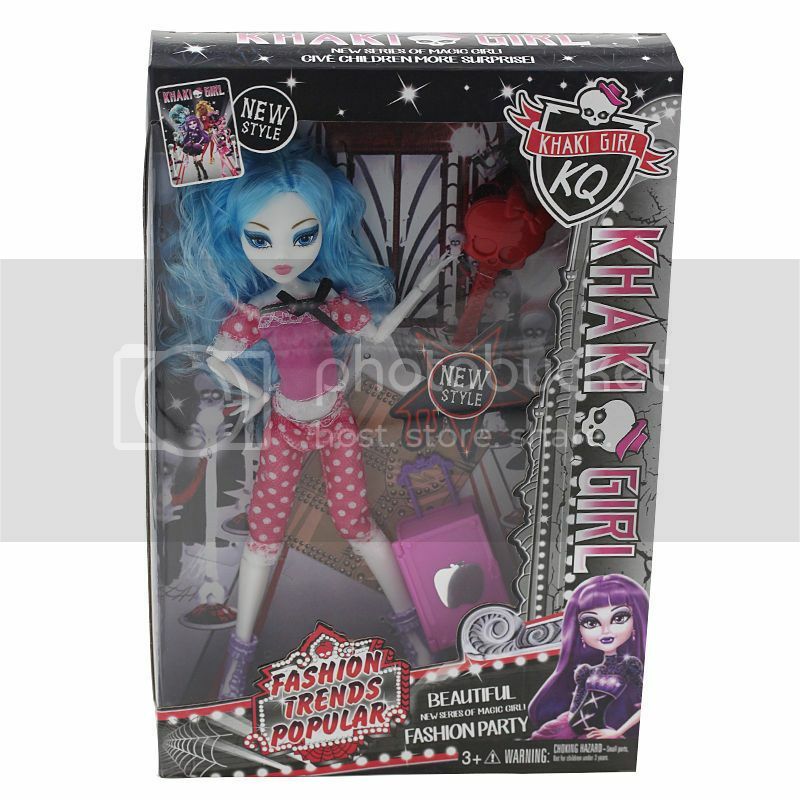 Looks like someone took Elissabat's FCA box, put Ghoulia in it (without glasses) wearing Lala's PJs, except head doesn't look quite right for Ghoulia and she's probably on her way to Scaris, based on the suitcase. I love how Khaki Girl is abbreviated "KQ". I guess proofreading is too time-consuming for some people. Only 3 more weeks til I have sufficient money. LOL Then I'll be shopping for myself for Christmas and going fakie krazee! 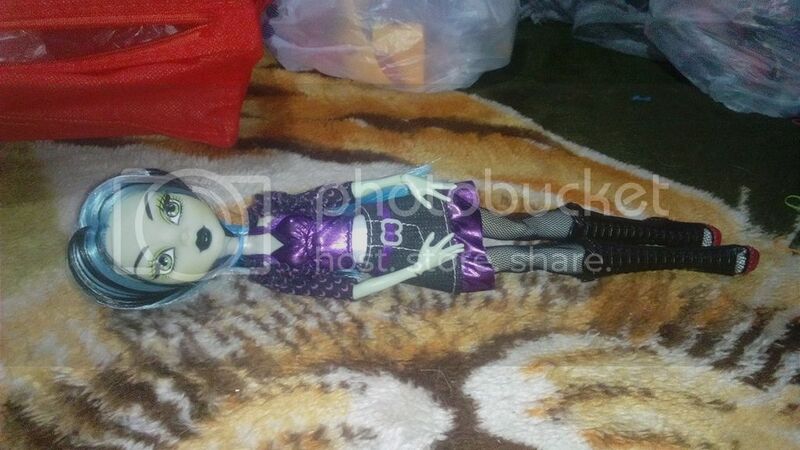 There are several of those, including a Purple haired Clawdeen, a Draculaura with clothes that kind of look like Scaris Ghoulia's a Deuce, and the best of all: a tan Holt. 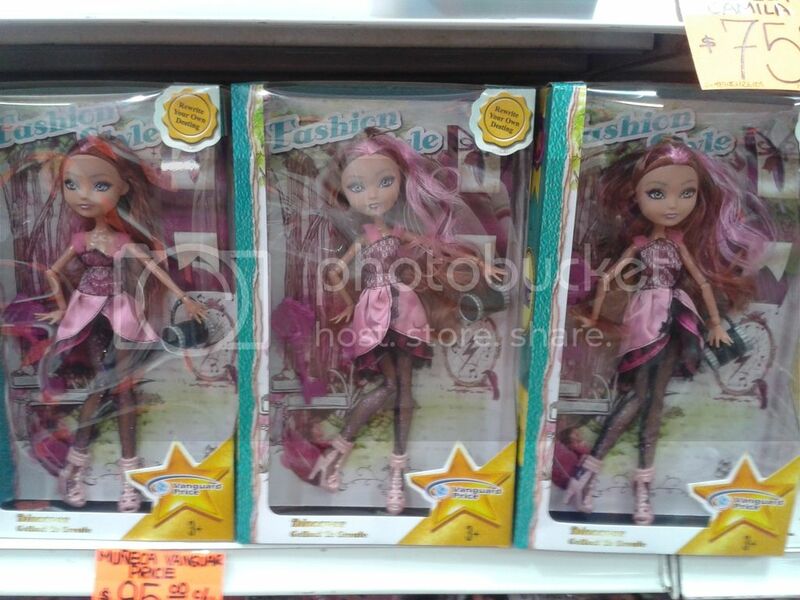 Recently found this fakie at a flea market, I saw the same doll at the start of the year for the same price, I was about to buy it but the person started talking about how the doll was "original, and brand new" she was missing her leg and was a bratz body fakie! Did he think I was dumb or what? That pissed me off and I didn't buy it at the time. 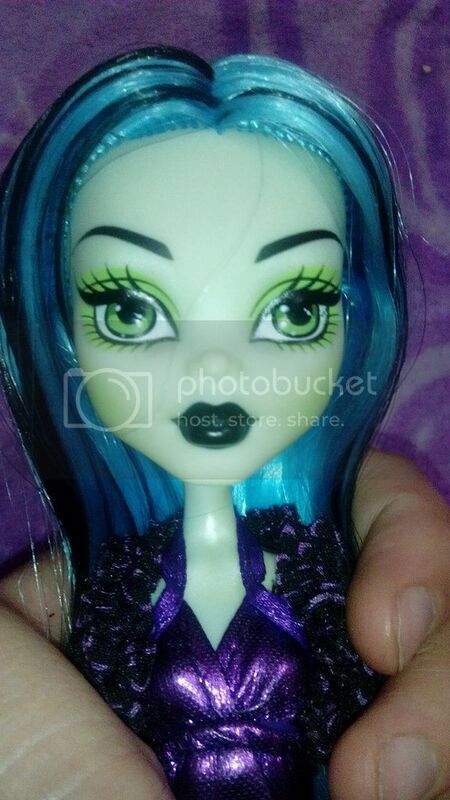 That's one of my grail fakies....except my grail had the Clawdeen headmold so she had wolf ears. I haven't seen her since I started collecting 4 or 5 years ago.. I see the Frankie headmold here and there, and she's soooooo pretty, but I'd prefer the Clawdeen one, so I keep holding out. Yea gotta say that's a beauty of a Fakie. I want her too! ooh! pretty fakie! Did you re-body her? I would LOVE to find a doll like the one in Buchiu's pic. It's not THIS pack is it? Wow that Frankie fakie is just too pretty.